Change things up with these side-trips from Port Elgin: Blue Mountains (Spas & Wellness, Ridge Runner Mountain Coaster, & more), Wasaga Beach Provincial Parks (in Wasaga Beach) and Loft Gallery (in Thornbury). 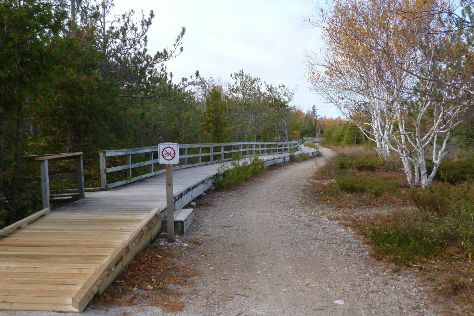 The adventure continues: identify plant and animal life at Macgregor Point Provincial Park. To find other places to visit, ratings, and tourist information, read Port Elgin sightseeing planner. Toronto to Port Elgin is an approximately 3-hour car ride. Plan for little chillier nights when traveling from Toronto in April since evenings lows in Port Elgin dip to 0°C. Finish up your sightseeing early on the 20th (Thu) so you can travel to Pickering. Pickering is a city located in Southern Ontario, Canada, immediately east of Toronto in Durham Region. Venture out of the city with trips to Canada's Wonderland (in Vaughan), Canadian Warplane Heritage Museum (in Mount Hope) and Jungle Cat World Wildlife Park (in Orono). The adventure continues: fly down the slopes at Blue Mountain Ski Resort and look for all kinds of wild species at Petticoat Creek Conservation Area. To find photos, ratings, other places to visit, and tourist information, you can read our Pickering itinerary builder. Drive from Port Elgin to Pickering in 3 hours. April in Pickering sees daily highs of 12°C and lows of 1°C at night. Cap off your sightseeing on the 23rd (Sun) early enough to travel back home.